"It wouldn't be possible without each person who shares their talents with Onsharp every day." Onsharp is honored to be a finalist for the Fargo Moorhead West Fargo Chamber of Commerce Small Business of the Year award. On Thursday the 22nd of March, Joe Sandin and Tami Dowers accepted a plaque for being a finalist at the ChamberChoice reception. Each year, the Fargo Moorhead West Fargo Chamber of Commerce selects three finalists from the following categories: Business of the Year, Small-Not-For-Profit of the Year, Not-For-Profit of the Year, Young Professionals Best Place to Work, and Entrepreneur of the Year. The ChamberChoice finalists are chosen by a panel of independent judges from the regional business community, who evaluated accomplishments in the areas of business growth, innovation, creativity, community involvement and unique achievements relating to a specific business or industry.- Fargo Moorhead West Fargo Chamber of Commerce. This is the second consecutive year that Onsharp has been nominated for the honor. The top-ranked finalist in each category will be honored with a ChamberChoice award at the ChamberChoice Awards Luncheon on May 17 at the Holiday Inn of Fargo. The luncheon will feature Tom Gegax, author of The Big Book of Small Business. 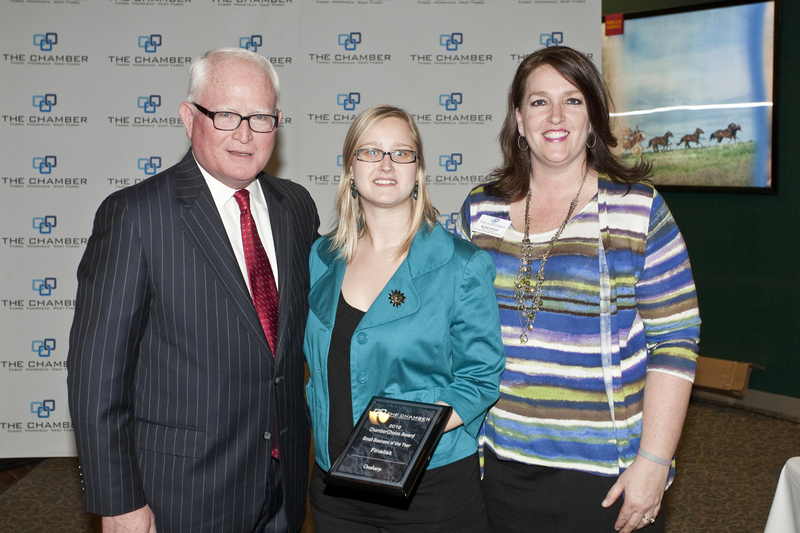 There is more information about the ChamberChoice Awards program online at http://www.FMWFChamber.com/chamberchoice. Onsharp is an interactive agency that architects, builds, and supports web-based solutions. We're passionate about technology, but not just because we think it's cool. We are experts at helping businesses understand how new technologies and trends can help them meet customer demand while improving productivity. Onsharp strives to create success in the lives of all people, businesses, and communities they serve. For more information about Onsharp, please visit http://www.onsharp.com or call toll-free at 1.866.ONSHARP.